From a very young age, Kate Harris always wanted to be an explorer. She grew up idolizing Marco Polo, who travelled long distances and wrote about his travels. Harris dreamt of doing the same. Polo's romanticized account of the Silk Road piqued Harris' interest in particular. 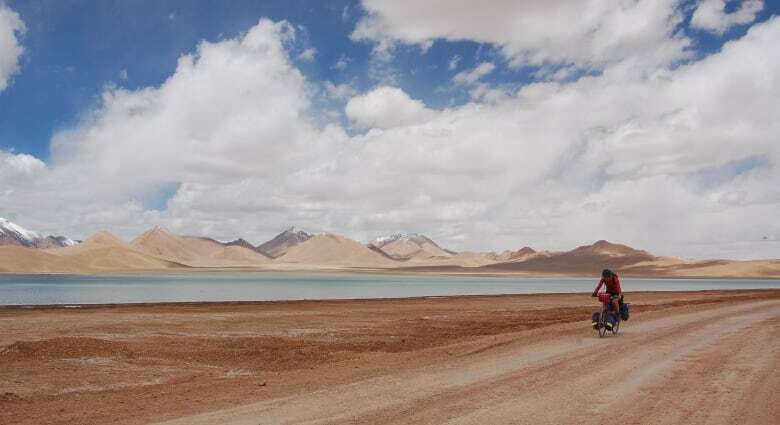 "It's the world's oldest superhighway. It's where globalization first began to happen and is still happening today," Harris told The Current's Anna Maria Tremonti. "It really is a stretch of imagination more than anything. You know, people didn't even have a word for it as the Silk Road back when it was in its heyday; it was sort of a historical term applied in retrospect," she explained. 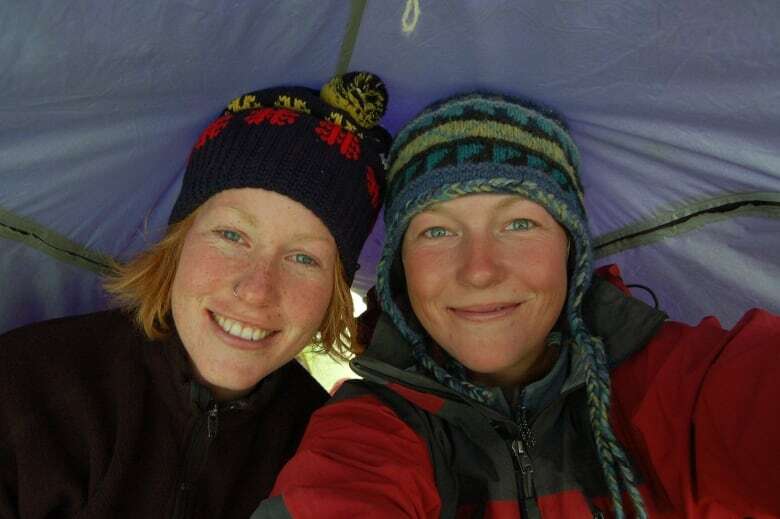 After graduating university in 2006, Harris and her childhood friend Mel Yule set out on a four-month summer vacation to retrace Marco Polo's travel through western China. "We loved that journey so much that we vowed that someday the two of us would finish the whole Silk Road," Harris said. In 2011, they did just that. 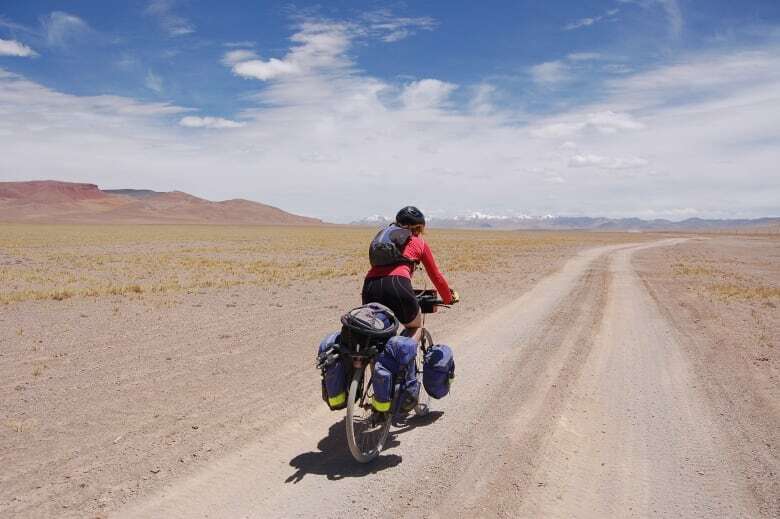 They cycled thousands of kilometres along the ancient trading route from Turkey in the east, through Central Asia, China's Tibetan Autonomous Region and into the soaring heights of Nepal and northern India. 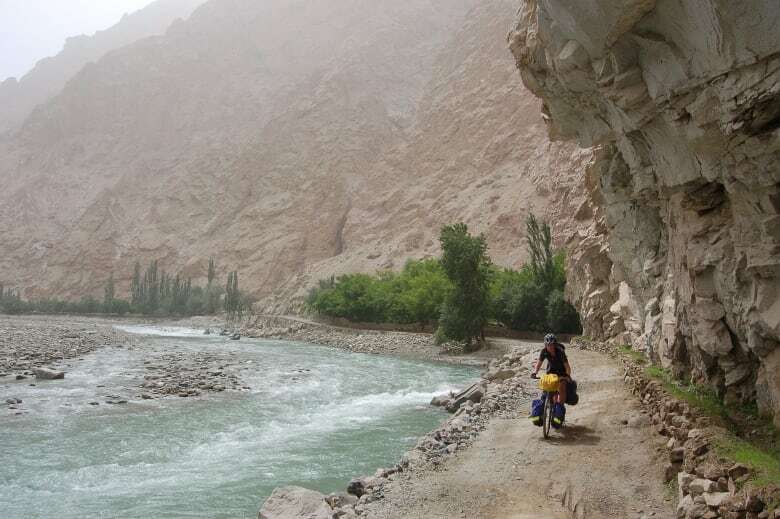 Harris chronicles their travels in her book Lands of Lost Borders: Out of Bounds on the Silk Road. Growing up in small-town Ontario, surrounded by fences and subdivisions, Harris recalls feeling the exploration age was over — except in outer space. "I really, seriously set my sights on Mars and emigrating there one day, colonizing our neighbouring planet," she said. The Rhodes Scholar, now 35, spent an academic career mostly dedicated to studying science and space. But as it turns out, laboratories and researching didn't really work well with the dreamer, so Harris found herself another adventure to pursue. "For me, what I got out of the Silk Road was so much of what I was seeking in going to Mars," she said. "You don't have to go to a new world to feel like you've entered a new world." 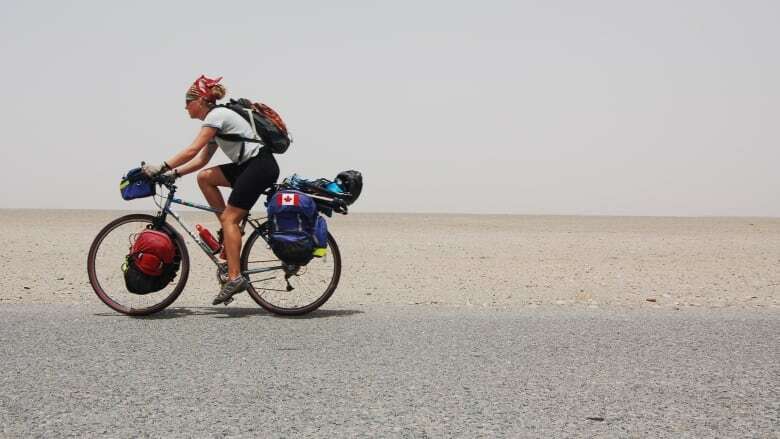 The bike trip down the Silk Road with Yule began as just an adventure, said Harris , who's been named one of Canada's top 10 adventurers by Canadian Geographic. "But in the process we snuck through Tibet without permission from the Chinese authorities, and that's really what sparked my interest in borders." Harris said going back to Tibet five years later was devastating. "There weren't just checkpoints marking the boundaries of the autonomous region as a whole, but the boundaries of every single village we passed through," she explained. "It was really heartbreaking. I felt like I was a tourist in an oppressive regime and that felt terrible." The blistering heat and wind of the desert in Uzbekistan forced Yule and Harris to bike at night. With very little infrastructure, and villages few and far between as they cycled through the Ustyurt Plateau, the stars above magically enveloped them. "The horizon is so flat in all directions that they came right down to Earth. It really felt like a form of space travel, like we were biking through the stars," Harris said. "I came to know Uzbekistan more by its constellation than any sort of landmarks lit up by day." Harris said Uzbekistan left a lasting impact on her understanding of how landscapes can make a person see themselves in a vulnerable state. "When you're a very small being in a very large desert, you weirdly get insight not into the desert, but into what it means to be human. And I love that sense of smallness. I think that's what I really seek out." Harris writes in her book that travel is one part geography, nine parts imagination. Even though she never travelled abroad as a child, Harris said she fed her wanderlust through reading. "I was just hungry for the wider world and I got there through books, which means I was travelling just in my mind — my imagination," Harris said, adding that in some ways it's the most vivid way to travel without the mundane logistics and transport. As a young fan of Marco Polo, she thought setting precedents — being the first to reach a location, or complete a long journey — mattered most. After her own travels, she concluded exploration should be more meaningful. "It's not that you need to be doing something novel or groundbreaking. It's really about expanding your consciousness and your sense of connection with the planet," she explained. "That's why I love reading, is getting to experience other lives and other worlds for a time and seeing how they're not so different from you and your own world." Harris added that there's one thing she loves maybe even more than travel: "Coming home and re-travelling the same places through words and trying to get the experience down on the page." 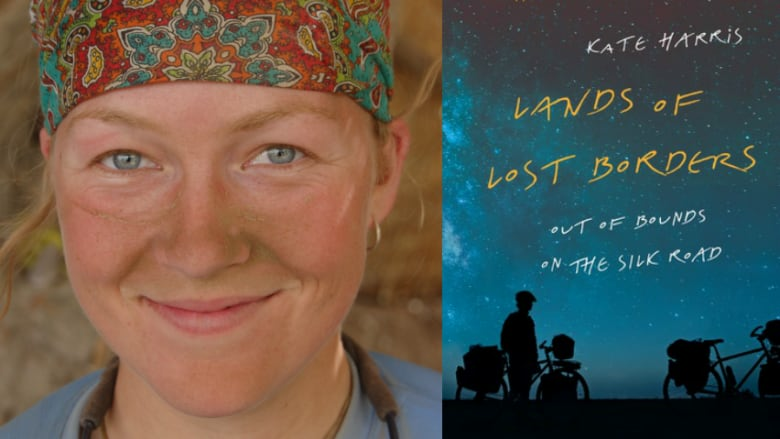 Update March 7, 2019: Kate Harris was awarded the 2019 RBC Taylor Prize on Monday, for Lands of Lost Borders: Out of Bounds on the Silk Road. The $30,000 prize recognizes the best in Canadian literary non-fiction, and the selection jury described her book as one that changes the way we think about the world. The jury chose Harris's memoir for the award out of 115 books. Can urban planning protect our streets from vehicle attacks? Is India's gender imbalance to blame for rise in violence against women?